Brawlout Dashes ‘n’ Bashes onto PC, Playstation 4 & Xbox One Today! Get those fists (or paws… or flippers) up, because Brawlout brings the fight to PC, PS4 and Xbox One today. Not only does this mark the game’s launch out of Steam Early Access, but it enables Angry Mob Games to share the beloved party fighting genre with a whole new audience of console owners, following its initial launch on Nintendo Switch. Are you ready for fast-paced, couch and online party multiplayer? Having gained notoriety for its lovable cast of guest stars, including indie darlings from Hyper Light Drifter and Guacamelee!, mascot platformer extraordinaire Yooka-Laylee is now available as part of Brawlout’s roster. Not to be outdone following the game’s launch earlier this month, Dead Cells’ headless protagonist will also join the fight this Fall, bringing his unique form of weapon-based offence to the arena with a multitude of skills and weapons to master. If you’re looking for a character that can adapt to just about any situation, look no further! Brawlout is available now on Nintendo Switch, PC, PlayStation 4, and Xbox One, retailing for $19.99 USD. For more information and all the latest updates, follow Angry Mob Games at the links below. 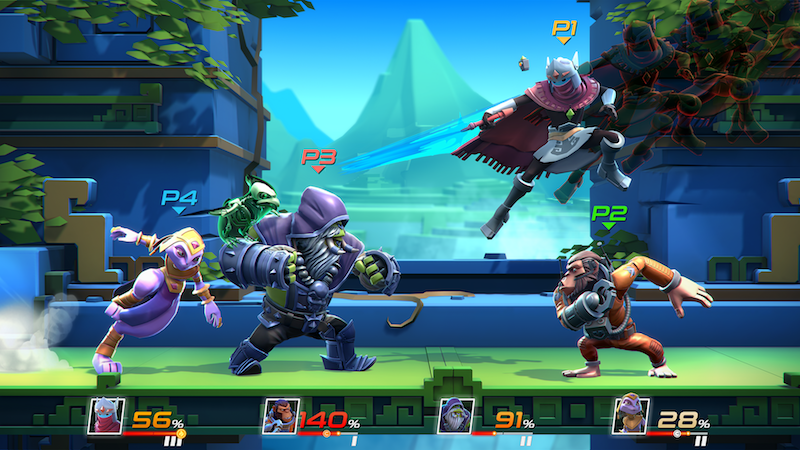 Brawlout packs a punch with couch and online play modes that feature quick matches over slow-paced, defensive battles. 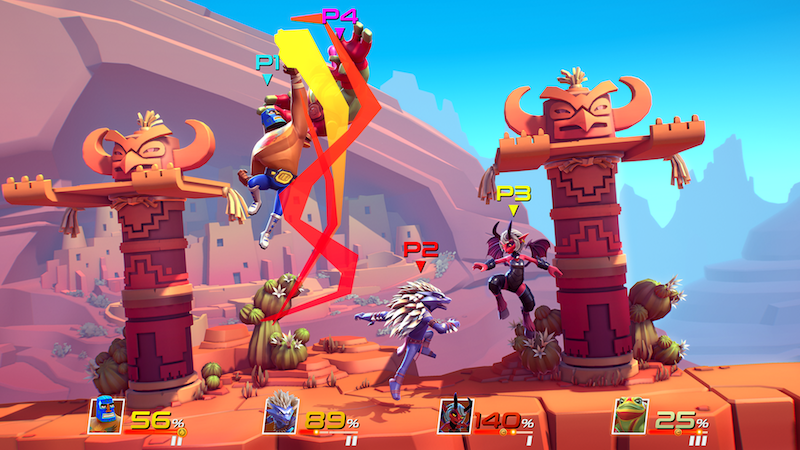 Brawlout goes all-out with lightning-fast aerobatics famously found in classic platform fighters. With wavedashing, a free-form combat system, and a chargeable ‘Rage Meter’ at the player’s disposal, each battle will be a combo-bonanza! From grappling to long range weapon options, there is a character for all fighting game aficionados. 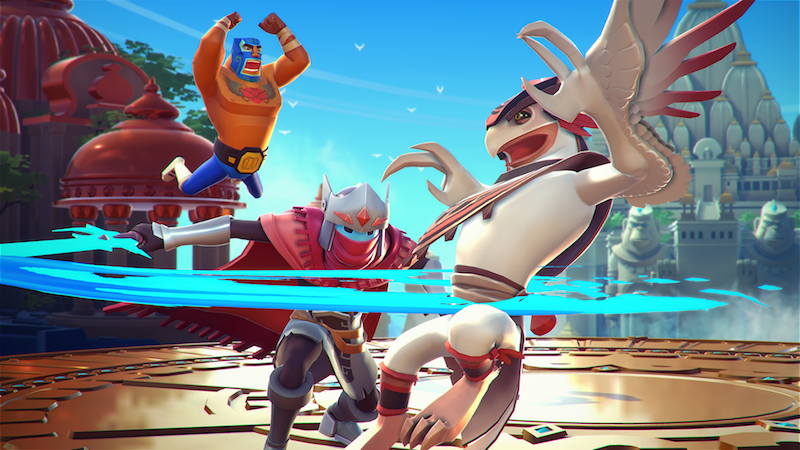 Whether players are looking for a casual couch experience with friends, or to challenge pros in worldwide online tournaments, Brawlout caters to anyone looking to create a little chaos. For those wanting to take part in the mayhem from a safe distance, Brawlout TV is available for spectators to watch ongoing matches. Choose from six original combatants (each with variants that change up their look, moves, and playstyle) in addition to guests from indie hits Hyper Light Drifter, Guacamelee!, Yooka-Laylee, and Dead Cells: bringing the roster to 24! + new features being added all the time! Angry Mob Games is a premier video game developer, defying genre boundaries since 2007, to deliver next-generation gaming experiences like Alien vs Predator: Evolution & Muffin Knight.